Its 2013, yet Americans are having a hard time saving enough for unforeseen emergencies and even their retirement. Factors like increasing fuel prices, food costs, and other expenses do come into play, but a lot of this has to do with rising credit card debt. As the expenses of the average American household increase over time, people are finding it hard to keep track of their debts. Here are 7 things that signal that your debts are getting out of control. Experts state there is a certain percentage (usually 30%) of your income that determines whether your debts pose a serious threat. If your mortgage or debt payments comprise of 30% or less of your income, you don’t need to worry that much. But once this limit is crossed, you will eventually have to face a financial crisis. When it comes to credit card payments, they should not even exceed 15% of your gross income. In this way you can still manage other expenses quite well, but once your credit card payments begin to exceed 15% of your gross monthly income, it is a surefire warning sign. A common, guaranteed way of driving anyone towards financial disaster is losing track of how much you owe. If you are in a tight situation, do not avoid your problem and go for consolidated credit counseling. Helpful services from Consolidated Credit include free debt consolidation. 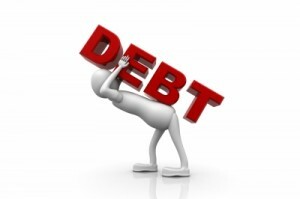 If you are trying to run from your debts, that means you realize that they have exceeded your repayment capacity. Such an attitude can take your situation from bad to worse in no time. In line with the previous point, a clear indicator of uncontrolled debt is your inability to get a good night’s sleep. However, this is only one aspect of the problem, for debt-related stress, for it causes people to become anxious and even paranoid. When you start worrying about how to pay your bills, get help immediately. Otherwise along with your finances, you will lose out on your health as well. Some people under the yoke of credit card debt resort to using many things to in order to escape from the pressure, but such habits only makes matters worse in the long run. Since 2010, the credit CARD Act prohibited banks from increasing your interest rate just because you defaulted on another creditor who is not related to the bank in any way. However, banks can reduce the credit they offer you even if you make payments on time. The serious problem lies beneath, and as your credit card balances rise, you will soon cross your optimum credit utilization ratio. Your credit score will drop drastically and eventually you will end up with maxed out cards and 0 credit. As mentioned at the opening, credit card debts have drained up most people’s savings whether it is for emergency or retirements. If you find yourself drawing more from your savings accounts, become alert and find the root of the problem. If you let this go on, you will find yourself without any funds in case of a serious illness or accident. And even if you are able to repay your debts, you may never be able to retire comfortably. When creditors or collection agencies start to call you, you should come to terms with the fact that your debts are no longer affordable. Most people start avoiding calls, much to their own peril. Creditors do not go away, and they can even take serious measures like harassment and litigation if you try to avoid them. Payday loans are a practical option for customers to take care of their short term expenses in times of emergency. However, if you are constantly taking out such loans to meet your monthly bills, then you have already jumped in quicksand. Get out before you sink in all the way! So, if you find one or more of these signs in your life, it is time to get serious about your credit card debt. The longer you delay the worse the situation will become. This article is composed by Elaine McPartland who is associated with “Consolidated Credit” as their community writer. In the above article, She has mentioned worst dangerous signs that shows your debts are out of control. You can add her at her google+ profile.